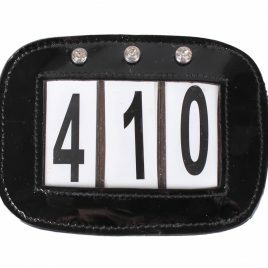 Welcome to Elite Equestrian. We are proud to offer high quality products for you and your horse. Stunning new Bridle range from Montar! New and innovative ergonomic bridle in Montar Eco Sedgewick leather with stainless steel buckles. Specially designed headpiece has an adjustable strap at the back. 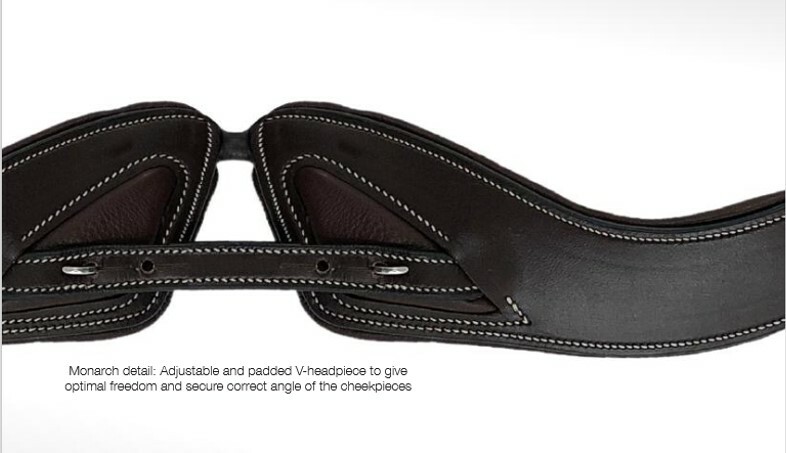 This allows you to adjust the angle of the cheekpieces to achieve that perfect fit along the horse’s ears and cheek. Super soft padding with the cut headpiece design minimizes pressure on the sensitive poll, neck and ear area. 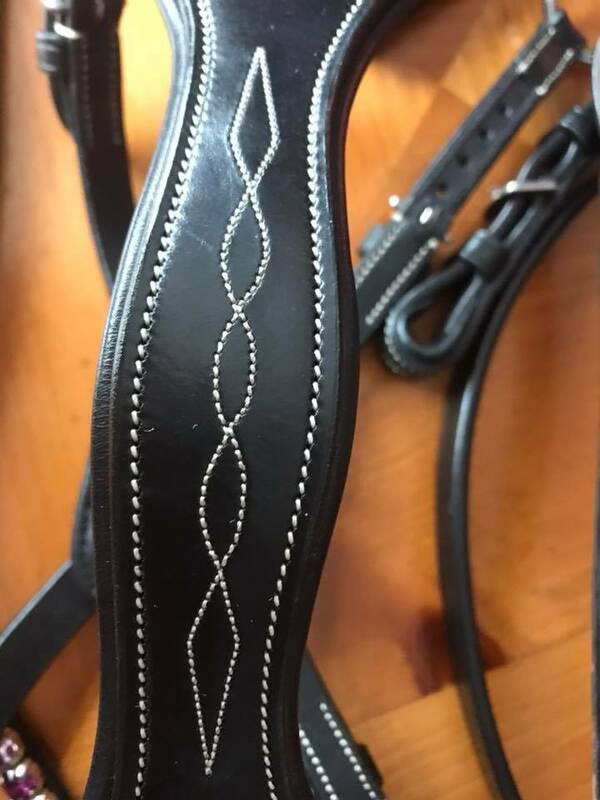 The browband has a soft padding and an elegant curve to highlight the expression of the horse. All Montar browbands are easy to remove and can be changed even when the bridle is in use. 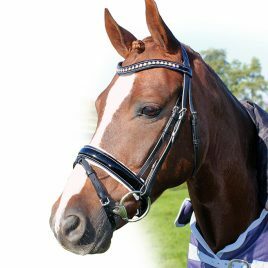 The Monarch noseband has been designed to avoid pressure on the sensitive mouth and jaw. Soft curves make space for facial nerves and the big back teeth, while the softly padded cushion protects the jaw bone. All outer loops are lined with Rubber so you never have to bother with loose straps. 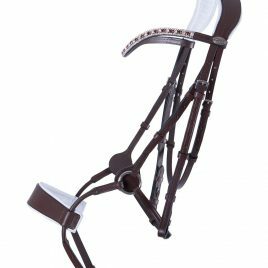 The lush, chic bridle Amor stands out with rose gold details. The patent leather wave shaped browband has rose golden rhinestones. All the hardware is rose gold coloured as well. 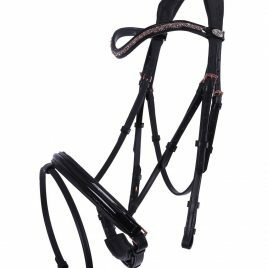 The bridle has a patent leather Swedish noseband and comes with web reins with hook studs.